Designed to get all employees to remember and use your customers’ names. 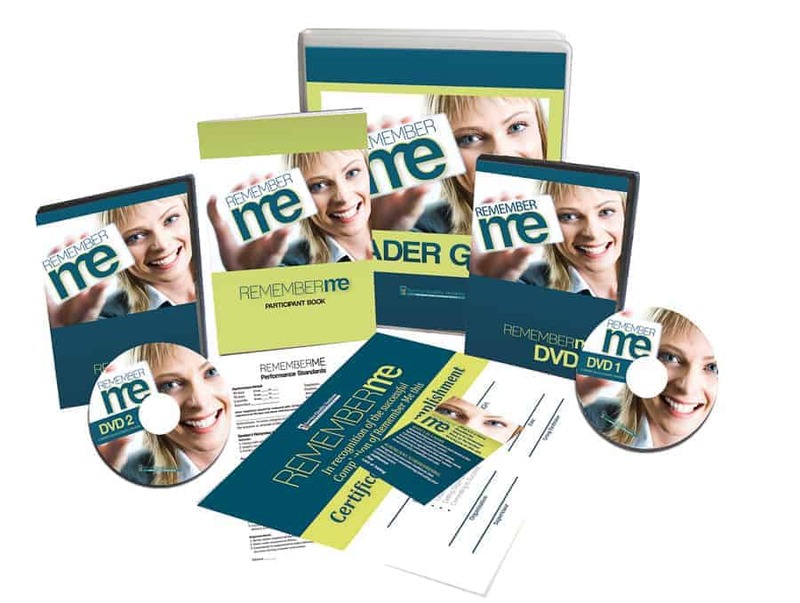 Use Remember Me to gain a competitive advantage and emotionally lock your customers into your organization. People love to hear their own name. This program trains employees to recognize the importance of making customers feel important and cared for. Kick off training right-away with this easy to use Facilitator and Participant Package for 25 Participants! Includes a Leader Guide, 2 DVDs, and 25 Participant Packages. Implemented in 2 sessions, spaced one week apart of 2-3 hours each. Less than $60 per Participant!